De La Hoya: Canelo Would Knock McGregor Out in 1 or 2 Rounds! 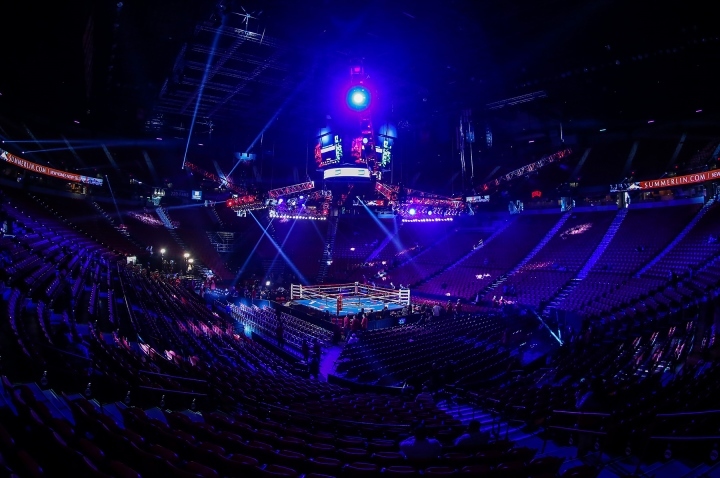 Golden Boy Promotions CEO Oscar De La Hoya was a big critic of last Saturday's blockbuster event at the T-Mobile Arena in Las Vegas - which featured Floyd Mayweather returning to the ring against UFC superstar Conor McGregor. De La Hoya felt the contest was a scam and a fraud to the sport of boxing, because McGregor was making his professional boxing debut against one of the best pure boxers in history. Mayweather, 40 years old, was coming back after two years of retirement. McGregor did better than many had expected. In the eyes of many, he won the first three rounds of the fight - but then became exhausted down the stretch and was stopped in the tenth round. De La Hoya, in one interview, toyed around with the idea of matching his company superstar, Saul "Canelo" Alvarez, against McGregor. After watching last Saturday's fight, the Golden CEO believes Canelo would have likely stopped McGregor within two rounds. He believes McGregor was able to win a few rounds because Mayweather carried him. “[McGregor won a few rounds] because Mayweather let him. The first four of five rounds, he let him do that. The punches are coming from different angles, it was a bit awkward to watch, actually," De La Hoya told MMA Fighting. “I respect any fighter that gets into the ring, that’s the bottomline. The fact that McGregor even tried, there’s huge respect from my part to him. I respect the UFC, I respect any UFC fighter that’s in the Octagon, I respect fighters that put their life on the line. What I'm trying to say is they’re two different sports and I don’t want to see anything like it again." Canelo is coming back on September 16th, also at T-Mobile, when he faces IBO, IBF, WBC, WBA middleweight champion Gennady Golovkin in what is easily the biggest fight in boxing. Oscar looks great in fishnets! Besides that, he should stfu. [QUOTE=BoxingFan82;17994579]I forgot. How long did it take Canelo to knock out Chavez Jr.? [/QUOTE] Chavez Jnr would take Connor out easy. Boxing is a science, at the high levels, it's an art and to think that anybody can come from anything else and dominate on day one is insulting.